Texas’ # 1 Kids Party Clown Rental and Children’s Birthday Parties Entertainment Company! Birthday Party Costume Characters, Magicians Pony Rides and Children’s Petting Zoo Rentals!Proudly Serving Dallas Houston and Austin and San Antonio, TX for over 20 years! We are your complete one-stop party store for ALL your kids party rental needs in Dallas Houston and Austin, Texas! From Clowns to Magicians to Petting Zoos or Children’s Entertainment to Kid’s Party Equipment Rental to Birthday Party Supplies, KIDSPARTYDALLAS.COM has it ALL! We are THE Texas children’s party planning experts, with over 20 years experience delivering professional children’s entertainment! That’s over 25,000 parties! Whether you are planning a party for a few kids or a few thousand, please think of us first for ALL your event needs! We offer the BEST Clowns for kids parties and Children’s Party Character Rentals ANYWHERE in Texas! At KIDSPARTYDALLAS.COM our experienced staff will do all we can to live up to our motto: Professional, Reliable, and Friendly! Ponies, Pettings Zoos and kids party equipment. Party characters, magicians for hire, clowns for partying and other dallas texas kids party rental needs. Rent Clowns for Kids Party Dallas! Houston Clown Rentals!Kids Party Clowns ! Yes, children’s party clowns are still a popular staple at kid’s birthday parties. Clowns for kids parties have really broadened their entertainment skills to include interactive magic shows, extreme juggling story-telling and more. 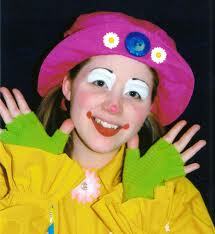 All of our chilldren’s party clowns are great at face-painting and making balloon animals for all the kids. All sorts of children’s themed party games and many more fun activities for kids parties. Just let us know what you’d like our Clowns to do for your kids! You can even have a Balloon Twisting Clown make Sculptures and Balloon Animals including Crazy Hats & Swords or even show the kids how to make their very own animal balloon.In fact, having a clown for your children’s party entertainment can be one of the best decisions you can make because they can perform indoors or out. Let’s face it, weather can be a factor and your goal is to see a smile on your child’s face.Find out more about our kids party clown rentals and clowns for hire for kids parties. MagiciansMagician For Hire – Kids Party Magicians – Magic ShowHave a child’s birthday party coming up? Make it a magical party that the children and adults will never forget. It’s no secret that a child’s birthday party is one of the most anticipated events of the year. Make this year’s party nothing short of magical. Our magicians would be happy to conjure up not only a hysterical but mystifying show for any age group. Your child’s party will be filled with exciting surprises, magical bunny tricks, balloon animals, party favors and much more.Bring your camera and camcorders so you don’t miss all the laughter and smiles. They grow up quickly and every moment counts. Be prepared to share in the excitement as well as hear praises from grateful parents as they thank you for inviting their children to the most enjoyable kid’s party. . You’ll be happy you made the decision to go with a fun factory kids party Dallas magician as they are fun, affordable, hassle-free and very kid-friendly. Party CharactersHire Party Characters For a Kids Birthday Party In the Dallas Texas AreaParties for kids are marked by the special touches we put into them. Nothing is more magical to a young child than to see their favorite TV or storybook character in person. Our costumed performers are fantastic with children, earning Fun Factory Kids Party Texas their reputation for excellence in supply talented entertainer to dress up as kids characters.Kids will love the dynamic characters, who take them through a range of activities, including dancing, playing games, supervising time in the inflatable bounces or on the superslide, and making your kids birthay the best day of their life. find out more about our party characters for hire in Dallas. Petting Zoo RentalRent A Petting Zoo For A Kids Party – Zoo Rental Company in Dallas TexasRenting a zoo stocked with animals that children can interact with is a sure win strategy for making happy kids. Petting friendly farm animals if a great experience for adult and kids at the event, and they can all have fun playing with and feeding our terrific animals. Let your child broaden his horizon and experience bonding with animals and nature in positive way. Petting zoos are the perfect forum for teaching a love of the animal kingdom and making them feel unafraid and cofident when amongst animals in the future. The petting zoo rental is and Pony rentals page has more informations and rates on our ponies for hire and renting a zoo for a parties. Pony Rentals and Pony Rides for Kid’s Birthday Parties! Renting a pony can be the kids party experience of a lifetime. these magical creatures are adorable and lovable, a perfect birthday companion for your child’s event. The ponies are very gently and lovingly cared for by the professionals at Fun Factory Kids Party Dallas, and it shows in the loving way they interact with the young ones. Give you daughter or son the birthday bash of a lifetime by hiring a ony for a party. This can go perfectly with a cowboy themed child’s party, or a princess party for your little girl. Either way, it is an experience children and parents alike will truly appreciate. A bouncehouse is a great choice for kids ages 3-15. Bouncers keep kids busy all day and lets them jump off all that extra energy (so they don’t have to do it on your couch!). They are cost -effective, you can usually get one for around $150 for the whole day. Most standard bouncers will fit 10-20 kids (depending on age) . They can be set up on any surface, and are quite safe. Good for when you have a mix of ages of kids , as well as for both boys and girls. Thre are lots of styles available, and you can even get combo units that include jumpers and slides, climbing walls, etc. Pick your style and let the kids have fun all day! Kids Party Rental DallasRent entertainment and equipment for childrens parties in Dallas Texas including fort worth Houston plano carrollton frisco Desoto and otherOur Texas Kids party rental serves Dallas fort worth Houston plano carrollton frisco Desoto and other cities in the Dallas Houston and Austin Texas area. Kids parties can be a very special event. It was not always easy renting kids party equipment and children’s entertainment . Get amazing party supplies that really impress your guests and finding the right children’s party performers – until Fun Factory Kids party Dallas. We have clowns, magicians, party characters and supplies. Our trained childrens entertainment is the best in the business, at competitive rates. Over 20 years in business and thousands of satisfied customers attest to the quality of our children’s entertainers and kids party equipment rentals.